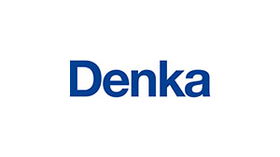 TOKYO—Denka Co. Ltd. will increase prices by 20 percent for its Denka Black and Denka Black Li products. The worldwide increase will be applicable to deliveries beginning in January, according to a Denka news release. Denka said the price increase will enable it to maintain business sustainability and reliable supply, as domestic and global demands have increased with a continued upward trend anticipated to continue. The company will improve productivity and augment capacity going forward. Denka is producer of acetylene black, which can be used in applications requiring high purity and electrical conductivity.